New York life often consists of all work and little play. Running between jobs and home, you never have any time for a home cooked meal. Instead, itâ€™s the same run-of-the-mill order off the delivery menu. Seriously, how many times can you eat General Tsaoâ€™s Chicken? Also, is your refrigerator running? Wait, it canâ€™t be because you're using as an extra closet! No more! Itâ€™s time to stop the mile-per-minute lifestyle and begin living healthier and happier. Havenâ€™t cooked a meal in three years? Your ovenâ€™s useful because of the extra storage space? Wait, do you even own a fridge? Greekmarket Cooking helps you transform fresh-from-the-farm ingredients into delicious home cooked meals. Here, youâ€™ll begin by shopping with a chef at the Union Square market and selecting your favorite ingredients. 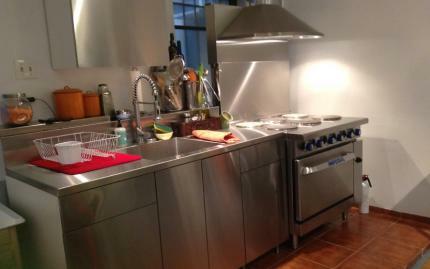 From there, youâ€™ll hit the kitchen to delve into the cooking process behind preparing a fresh, gourmet meal. Never again will you go three years without a refrigerator. In NYC, we get wrapped up in work and often choose to order in more often than we should. If we donâ€™t do that, cooking at home generally consists of a hearty Kraft Mac or even ketchup spaghetti. With fluctuating diets, we need to learn how to eat well. This class teaches you exactly that. Organic, local, whole grain, grass-fed, free-range, what do these buzzwords mean? Here, youâ€™ll learn the truths and myths behind healthy foods, what kinds of meats and produce to purchase, and how to shop with a busy schedule. Youâ€™ll quickly realize itâ€™s quicker than carry out. Quit wasting your food. Cucumbers couldâ€™ve been pickles. That herring you regrettably purchased that one time could've transformed into a delectable Scandinavian treat, probably. 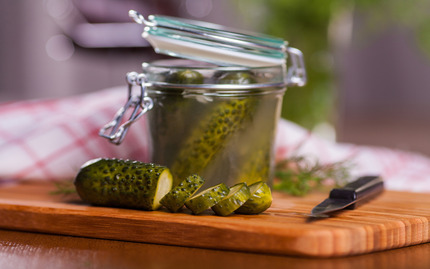 As the zombie apocalypse approaches, food preservation will be an essential skill. Here, youâ€™ll learn how to live sustainable through canning, pickling, and fermenting, extending the shelf-life of any food. Want eggs thatâ€™ll last five years? Probably not...but you can have â€˜em! To "not" eat out, you need to cook. To cook, ya gotta cut. 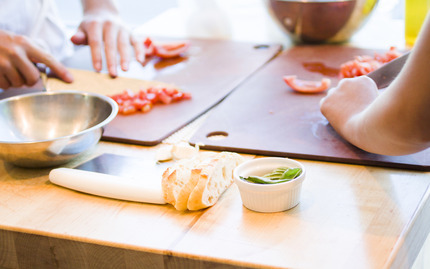 Any way you slice it, knife skills are essential in the kitchen. Working extensively with fruits and vegetables of all shapes and sizes, youâ€™ll learn all cults to create classic dishes: dice, slice, mince, chop. No longer will there be trouble carving an avocado or peeling a potato, or dicing ham. Your fingers will thank you. 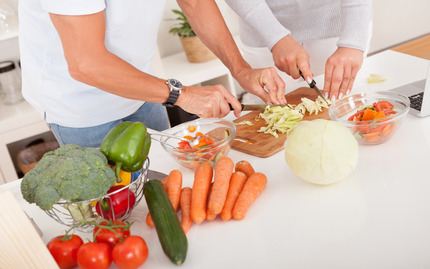 After slicing your ingredients, what do you do? Eat your pork slabs raw? Theyâ€™re great with a side of worms. 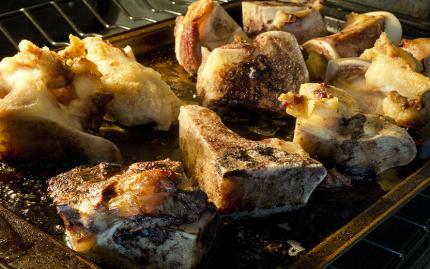 Cooking veers into roasting, sauteing, and steaming. Here, youâ€™ll learn and apply such techniques. Whenâ€™s chicken over cooked? How soft is too soft for broccoli? Is asparagus supposed to be that color? Through these techniques, youâ€™re guaranteed every meal to be especially delicious--partly because of the butter and oil...but mostly you. Craving a New York Strip from your favorite restaurant? Itâ€™s a painful craving. Nay, itâ€™s a longing, a yearning for two bounds of pure beef. 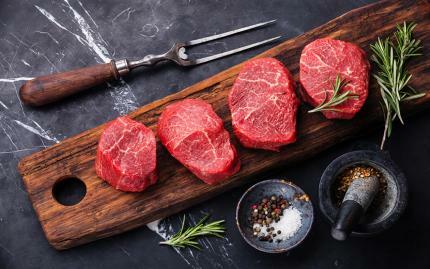 In this delicious class, youâ€™ll learn how to cook the staple dishes from the best steakhouses in the United States. From sides of the meat to decadent desserts, these signature dishes reel in customers like the U.S. reeled in the Irish 150 years ago. Everyoneâ€™s looking for a side of baked potato.